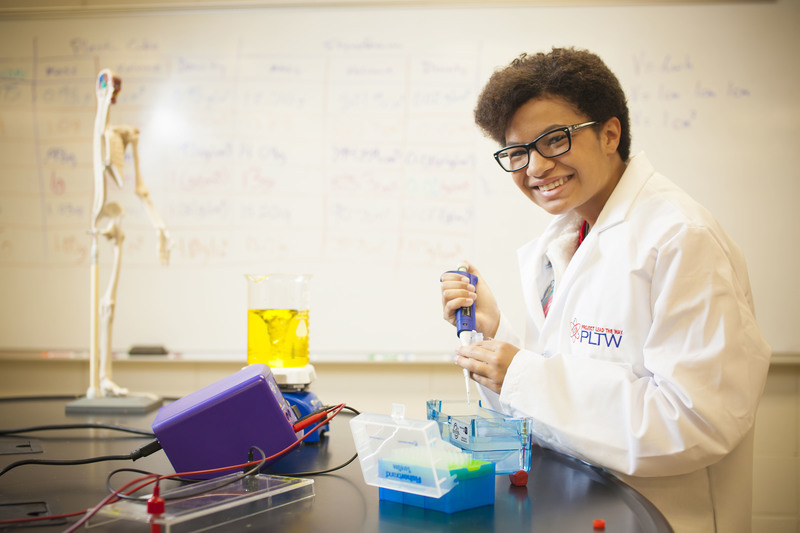 Working with the same equipment and tools used by lab professionals, PLTW Biomedical Science students are empowered to explore and find solutions to some of today’s most pressing medical challenges. Through scaffolded activities that connect learning to life, students step into the roles of biomedical science professionals and investigate topics including human medicine, physiology, genetics, microbiology, and public health. Students work together in teams to find unique solutions, and in the process, learn in-demand, transferable skills like critical thinking and communication. PLTW Computer Science empowers students to become creators, instead of merely consumers, of the technology all around them. The program engages students in collaborative projects that help them develop in-demand computer science knowledge as well as transportable skills like creative thinking and communication. And whether they’re creating an online art gallery or using automation to process and analyze DNA-sequence data, PLTW Computer Science students are seeing how their learning connects to the real world. Affordable housing design. Biofuel production. App development. 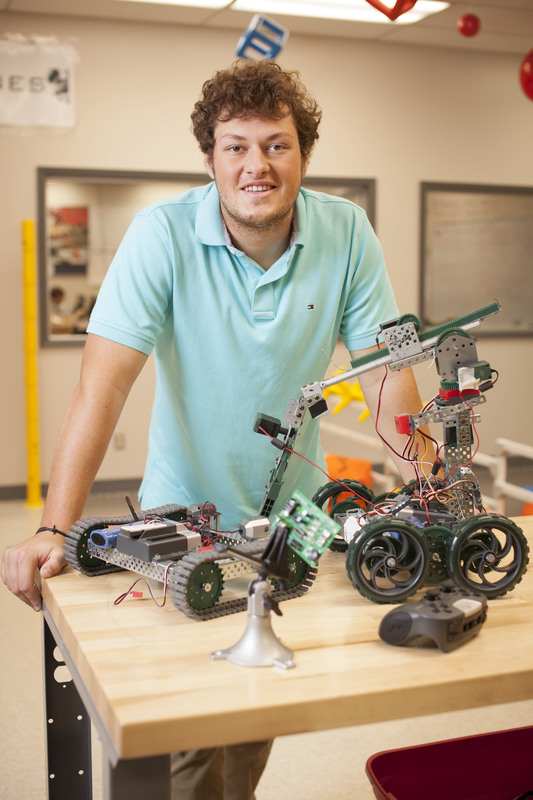 These are all hands-on, real-world challenges students face in their PLTW Engineering courses. Throughout the program, students step into the varied roles engineers play in our society, discover new career paths and possibilities, and develop engineering knowledge and skills. In addition, as students work in teams to design and test solutions, they’re empowered to develop in-demand, transportable skills like collaboration, critical thinking, and communication. For more detailed information on courses offered at RHS, please check the 2017-18 Academic Handbook in the documents section of this webpage. The information on PLTW Pathways can be found on pages 9-10. The information on PLTW courses can be found on pages 35-37.